We just spent six weeks of our summer travelling in the USA and had the very best time! And one of the main contributing factors to the success of the trip was being lightweight. (Ok, seeing friends, family, staying in fun places, and lots of sunshine added to the success as well…) BUT, I can not emphasis enough how packing lightly, and travelling without too much baggage (pun intended) makes a holiday easier. You can move faster when you aren’t weighed down. We stayed in a total of six places all summer and travelled with one carry-on each and one extra backpack! 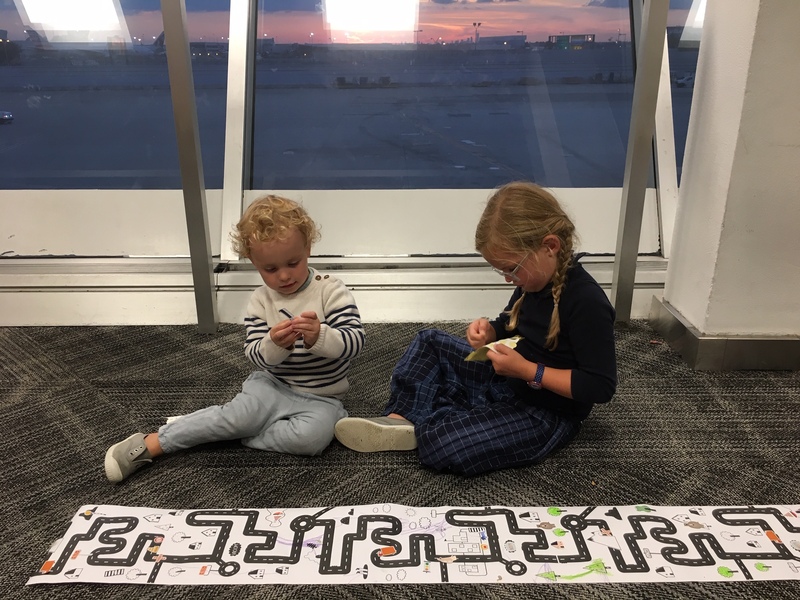 At first it was a mini challenge I set myself — just to get us on and off the plane, but then I realised how practical and how freeing it was not to have heavy bags to lug around. Each of us was responsible for carrying our own bag (with the exception of 2-year-old Joseph who sometimes would sit-it-out in the buggy and we would put his bag on top of one of ours). The ownership gave them independence, and they loved their responsibility! 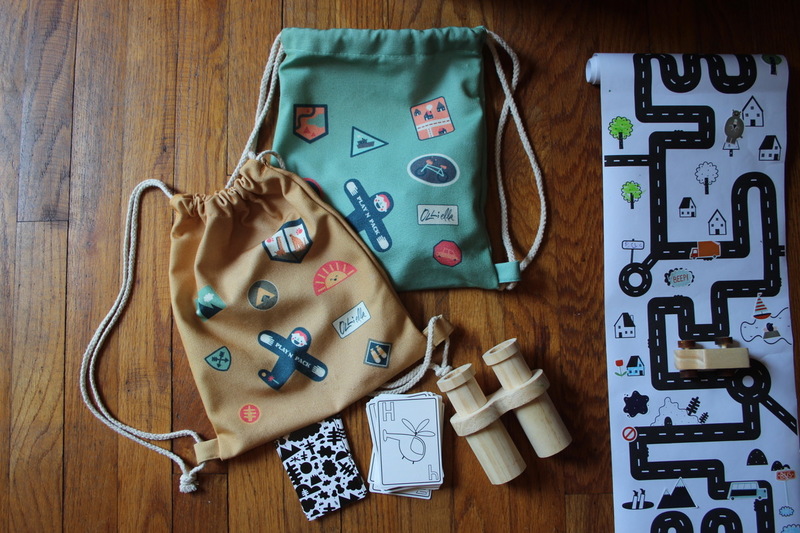 The challenge started with my Olli Ella See-ya Suitcase obsession. (I am a big fan of Olli Ella, a Babyccino Boutique.) Early in the spring, my kids were invited to join a fun photoshoot with the lovely Olivia of Olli Ella. And I instantly fell in love with her then ‘soon-to-be-realeased’ suitcase. It was small, vintage in style, in the cutest colours and so stylish. I wanted one for me! But it was little, and perfect for my two instead. Those suitcases made our trip! First of all, the suitcases are a crowd pleaser! So stylish! We literally had people stop us in streets, airport terminals, and even in Grand Central during a hectic rush hour to coo over the cases. It sounds a bit funny, but actually the attention was a bonus. 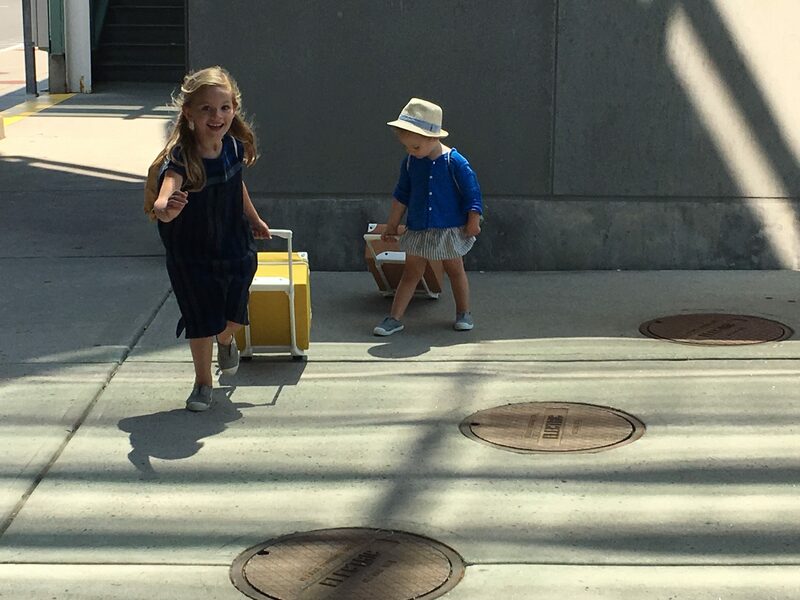 It made the kids walk proudly, new suitcases in tow, and happy to go miles with them! The fact that they wanted to roll them around meant we got to our destination faster. And with purpose! A parent win. And do you know what?… We could have packed even lighter — I think each of us could have had 3 less items! 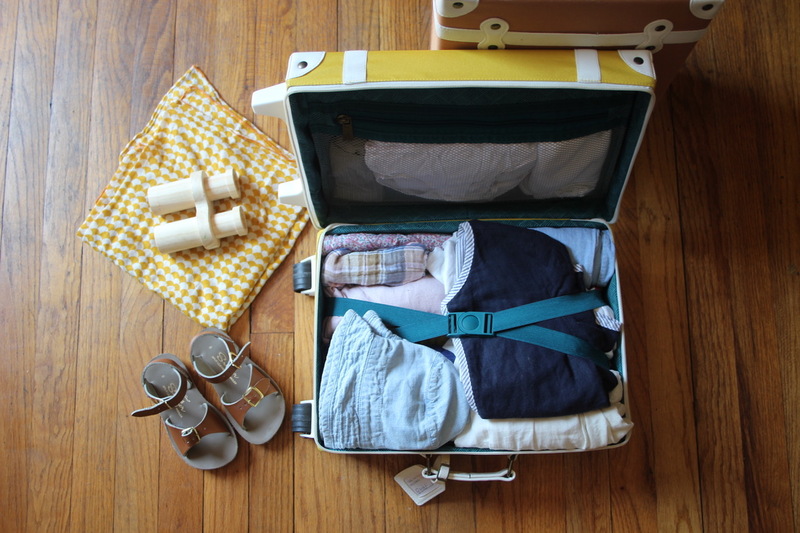 Yes, summer time packing is smaller due to the type of clothing worn in hot temperatures. No need for bulky, big jumpers, scarves, boots, etc. And everywhere we stayed we had washers and dryers, which also helps. Additionally, it is bathing suit (or in my children’s case often — birthday suit) weather. So the season did work in our favour. However, less is more in this case. Additionally, we had constant fun while travelling even during the dull waiting for delayed planes or trains! And this was because of our new, and very well designed Play’n Pack. 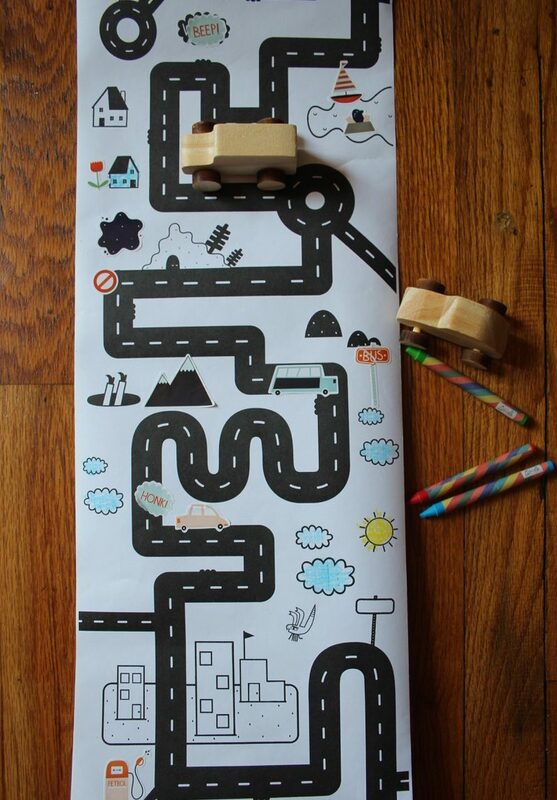 The kids could entertain themselves, complete with non-toxic crayons, a colouring roll, stickers, wooden toys to play with, and alphabet cards — so lots to choose from for fun! I hope you try travelling lighter, and in style too, it makes the whole holiday easier! We had the See-Yas, (ours are Rust and Mustard) and the two style of Play’nPacks too. And this isn’t sponsored, it is just a great product I wanted to share. I hope you enjoy it too. 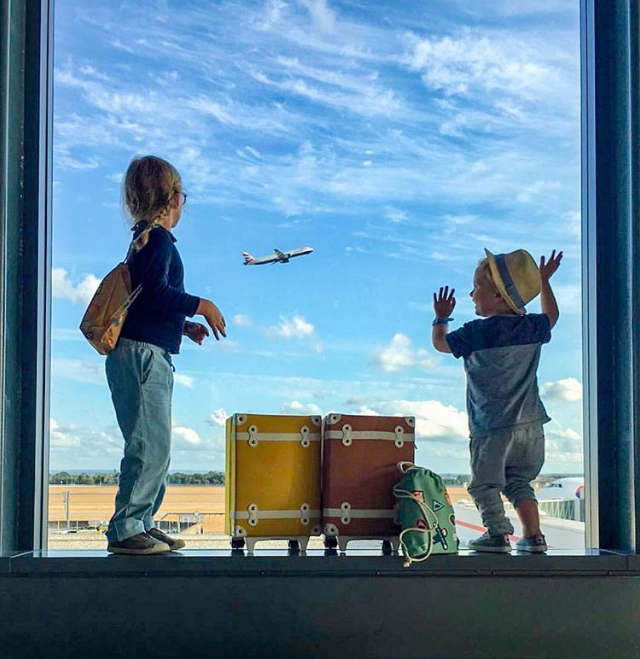 ps Some other great tips for travelling light, travelling solo with kids, and travelling with young children! And also, I love our team favourite travel games. I am also a massive proponent of traveling light (and those suitcases are lovely) and trying to work out what the lightest option is for a three week summer holiday… surely having just one normal size suitcase for all four of you would have actually been easier to move around? 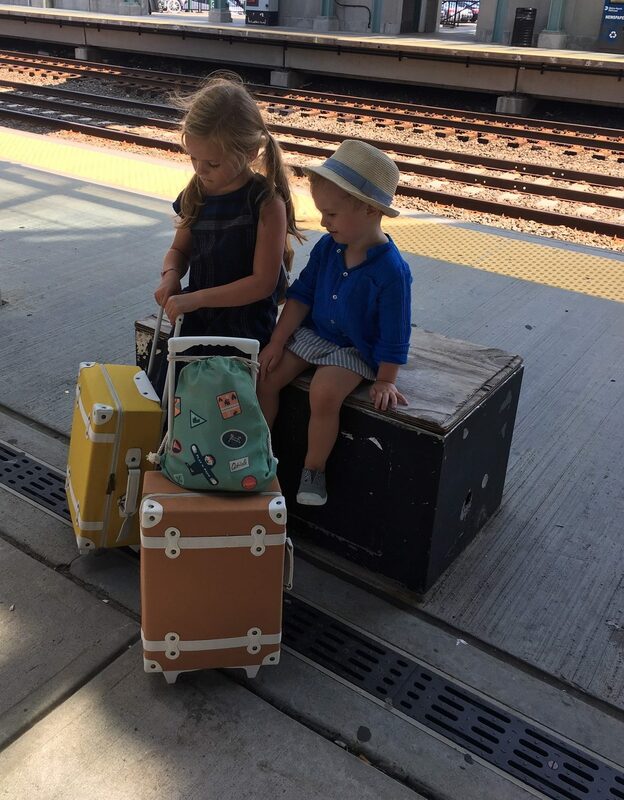 I’m thinking trying to shove 4 bags in the back of a taxi – quickly grabbing the kids bags to get on trains etc – I also thought the same thing when I saw Courtney’s post – 6 suitcases!?! Tell us what you packed!